This wheel 12" Pneumatic Tire boasts superior toughness, high elasticity and tear strength, and resistance to oils and greases. It has excellent adhesion to various materials so it won’t come apart from the wheel hubs. 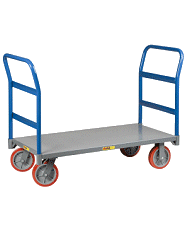 When using your hand truck over rough, uneven or smooth areas.